Suitable for cats and dogs, Denes Green Lipped Mussel is a daily nutritional supplement designed to promote joint mobility and encourage tissue health. 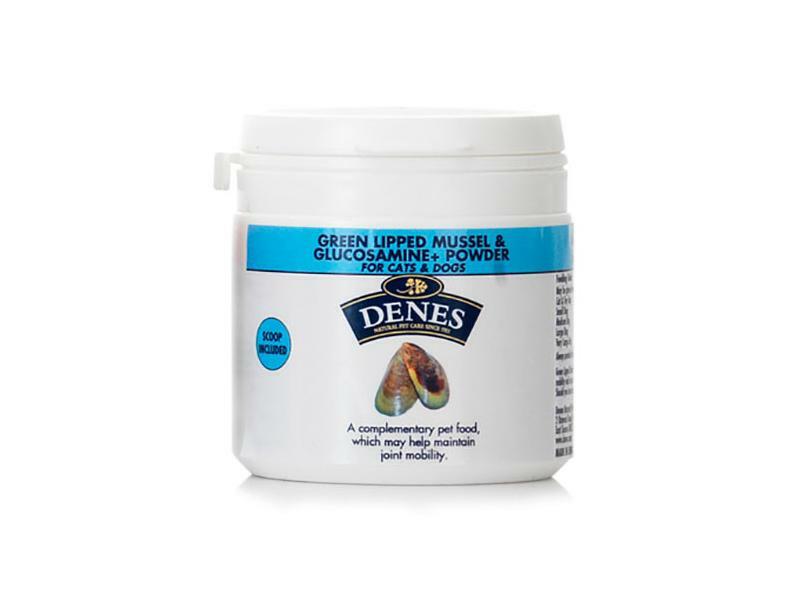 Containing the effective ingredients Green Lipped Mussel extract and Glucosamine Sulphate, Denes Green Lipped Mussel Supplement is highly regarded and recommended. Each 50g pot contains Green Lipped Mussel Extract 30g, Glucosamine Sulphate 20g. The following amounts should be fed daily, mixed with your pet's food. Below are some recent questions we've received regarding Denes Greenlipped Mussel for Dogs & Cats, including answers from our team. Vitamin B12 injections contain much more than it is possible to get from green lipped mussel or any food items. It is possible to buy B12 tablets (cyanocobalamin) from a high street pharmacy so you could talk to your vet about using these instead.